At the core of it, franchising is about risk reduction. You join a franchise because it provides a heightened chance of success as a business owner. 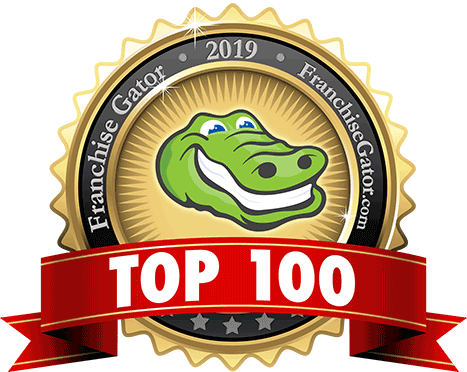 The Top 100 has been designed, with the assistance of The Educated Franchisee, to measure the quality of a franchise system over time. Rankings are mostly based on a formula created from various pieces of the Franchise Disclosure Document (FDD) that focus on financial stability, growth, transparency, engagement, continuity and sustainability. Hundreds of FDD's were studied this past year in an effort to bring you this ranking. NOTE: Please understand this list is not an endorsement of any one franchise over another. Franchise Gator recommends using this tool simply as an introduction to concepts you may not have otherwise been familiar with. Further, detailed research should always be conducted prior to the purchase of any franchise opportunity. We also focused on evaluating franchise opportunities that fit the mold of what a typical Franchise Gator visitor seeks. That meant taking investment range and industry into account to create what we feel is truly a unique rankings list. So if you are looking for some of the more high ticket, recognizable names in franchising and don't see them, that by no means is a discredit to that franchise system. It simply means they were not part of our evaluation process. If you wish to have your franchise considered for the next list, please contact us.